In the ever evolving world of architecture and design there is only one constant – innovation. The creative minds and problem solvers behind the world’s housing are continually searching for new ways to engineer smarter, efficient, appealing designs that align with the ideals of different locations and lifestyles. We take a look at some of the growing trends in home architecture and design and what makes them a fantastic addition to the Perth market and lifestyle. Broken plan living, or flexible plan living, is a design trend that is rapidly gaining momentum. Named as one of the top ten architectural and design trends from 2015 by leading architecture and design magazine Dezeen, broken plan living is seen as a compromise between open plan and closed room living, combining shared living spaces with smaller, private spaces to create a versatile design. Many credit the rise in modern technology for at least part of this shift in thinking living space design. While open plan living has been a mainstay for many years now, industry leaders suggest that the use of smartphones and devices has changed the way we view family living, with more and more people seeking adaptable living spaces and private areas to pursue individual interests within. A rise in the number of people working from home has also led to a need for ‘articulation of space’, allowing for dedicated spaces to be created within a flexible, flowing design. 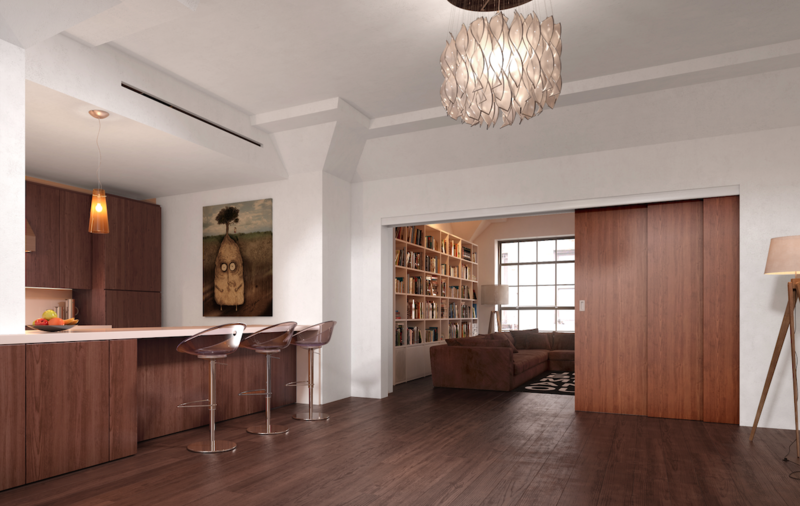 While larger combined kitchen and dining spaces are still popular, the use of smaller nooks, partial walls, sliding partitions, split level flooring, TV rooms and private offices rather than one combined living space allows residents to adapt the areas within their home to suit their changing needs over time. "It is an extraordinary revolution that has taken place in the last five years," said London-based architect Deborah Saunt of DSDHA. "People now want a kind of residence that can change to suit the needs of a family. It's a kind of inherent adaptability over time." Another Dezeen Magazine named trend, the use of timber in and around homes maintains a strong foothold in the arsenal of home design. New advances in technology have allowed timber to be used in instances where it is a better choice in terms of quality, sustainability and speed of construction than steal and concrete. In Perth, the use of timber remains a popular choice in home design, blending beautifully with local coastal pastimes and bush surrounds. Impennata stands as a fantastic example of incorporating timber into an Adrian Zorzi home with a variety of wooden finishes used on the interior and exterior of the build. Read more about Impennata here. The reign of the lounge room as the heart of the home is over according to Realtor Mag and the National Association of Realtors in America; the new epicentre of activity is the kitchen. Built as a multi-purpose space for families and friends to come together, kitchens now accommodate a variety of activities from cooking to dining, lounging and organising the family schedule. “Everything happens in the kitchen, and people don’t want to be closed away from interaction with their families,” says Chicago kitchen designer Mick De Giulio. Smart storage is key to the success of this design feature, allowing this multi-tasking space to flow effortlessly. Long island bench spaces are another feature adding to the functionality of the kitchen, allowing plenty of space to prepare food, sit kids down for homework or even gather for a casual meal. A fascination with mid-century modern-inspired architecture and design suits Western Australia perfectly. With its emphasis on making the most of natural light and the nature of the surrounding area, modernist design is seeing a resurgence among Perth property builders. Influences can be seen in many Adrian Zorzi homes including Tenuta and Panorama. Incorporating cohesion between indoor and outdoor living, many Perth residents embrace the flexibility and functionality of a modernist home, taking advantage of our warm, sunny climate and utilising the clean lines and open finishes that are a hallmark of modernist design. The open feel to a modernist home also lends itself readily to entertaining, allowing you and your guests to move freely and easily between kitchen and dining, living, and outdoor spaces. While modernist architecture, and the use of large, flexible spaces has many advantages, they often run the risk of resulting in a home that looks ‘cold’, ‘sterile’ or ‘severe’. Blanket use of whites and neutrals can create cohesion between spaces but it can also make a home feel impersonal, more of a museum than a home. To combat this, the use of dramatic or bold colours is a growing trend, using strong shades to stamp a sense of personality throughout the home and enhance a fluidity of movement and character from room to room. Adrian Zorzi’s own home, Struttura, makes use of dramatic dark ceiling panels as an innovative means of delineating ‘rooms’ within the open plan living space. Contrasting textures throughout the elements of your home will help create a sense of depth and warmth, even if you stick to a fairly neutral colour palette. This can be incorporated into features such as cabinetry, flooring, ceilings and roof panels, bench tops, and more. This is also a fantastic opportunity to incorporate materials unique or local to your home into your design, whether these are timber, stone, metals or glass.